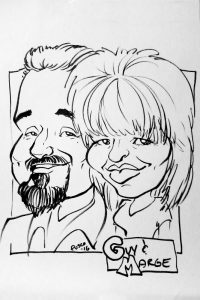 Blog featuring caricatures from NJ parties. By the Blue Studios. 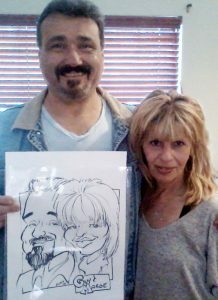 Guy and Marge’s pic got lots of laughs and compliments from the crowd. Black and white headshot. All rights reserved.